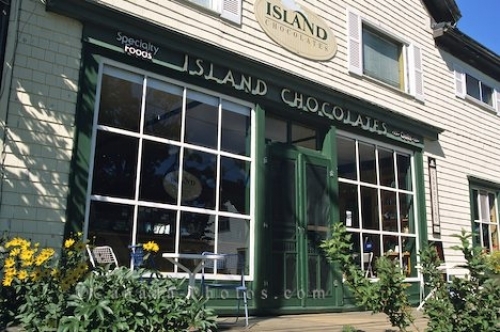 A specialty shop in Prince Edward Island in Canada sells some of the best chocolate throughout the Maritime region. A unique chocolate shop in the downtown core of Prince Edward Island in Canada displays some delicious looking chocolate and specialty foods. The perfect place while on vacation in Prince Edward Island to buy some treats or chocolate gift packages for family members back home. Picture of a specialty shop that sell some delicious chocolate in Prince Edward Island in Canada.